Dark Horse Comics have released their full August 2010 solicitations. From all the tasty morsels on offer (including Magnus, Robot Fighter #1! 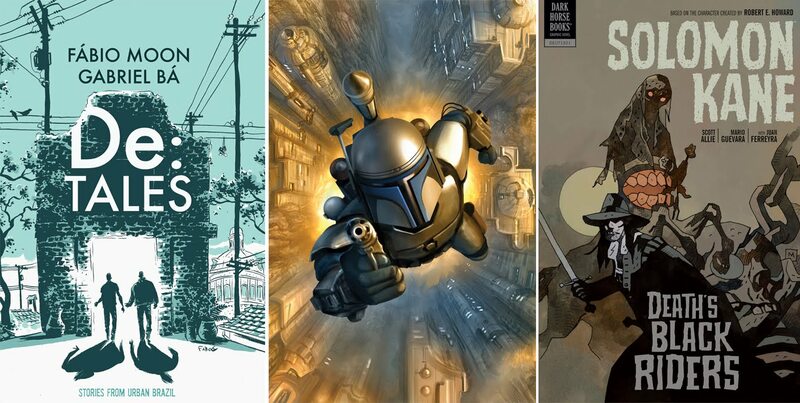 ), here are three of the sweetest covers coming soon, from the thoughbred of independent comic publishers. 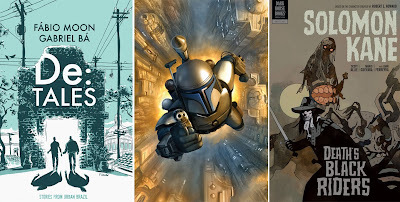 ARTIST AND TITLE: Fábio Moon - De:Tales, Chris Scalf - Star Wars: Blood Ties — A Tale Of Jango And Boba Fett #1 (of 4), and Mike Mignola - Solomon Kane Volume 2: Death's Black Riders. For more info visit Dark Horse Comics.